The Salt on the Level . . . The Salt. I have been trying, toying in earnest, to infuse my tenkara with diversity through variety in waters flowing and still, freshwater and . . . salt. The Salt; Saltwater: Some older classics of the printed literature hold titles such as “Dock Fish” in which a sense of history can be linked to the facet of the sport perhaps best named saltwater panfishing. 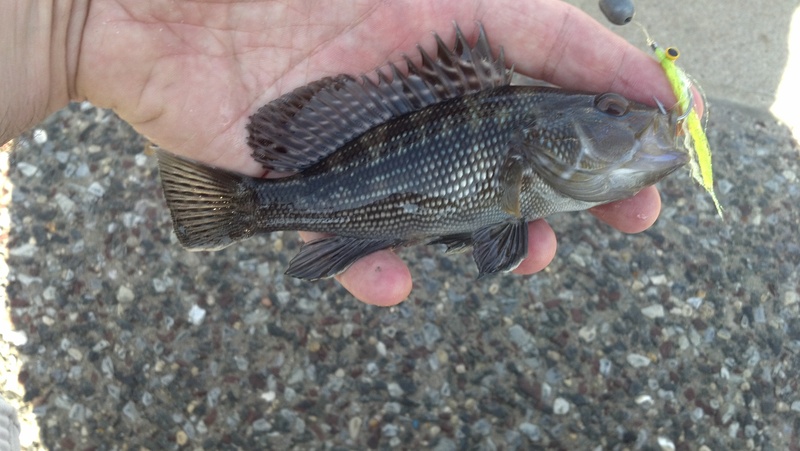 During this second decade of the 21st Century, add the urban angle in Manhattan, USA, and that offers two fishes of note: black sea bass (Centropristris striata) and bluefish (Pomatomus saltatrix), in particular the yearlings known regionally as “snappers” (pronounced “snappas”). 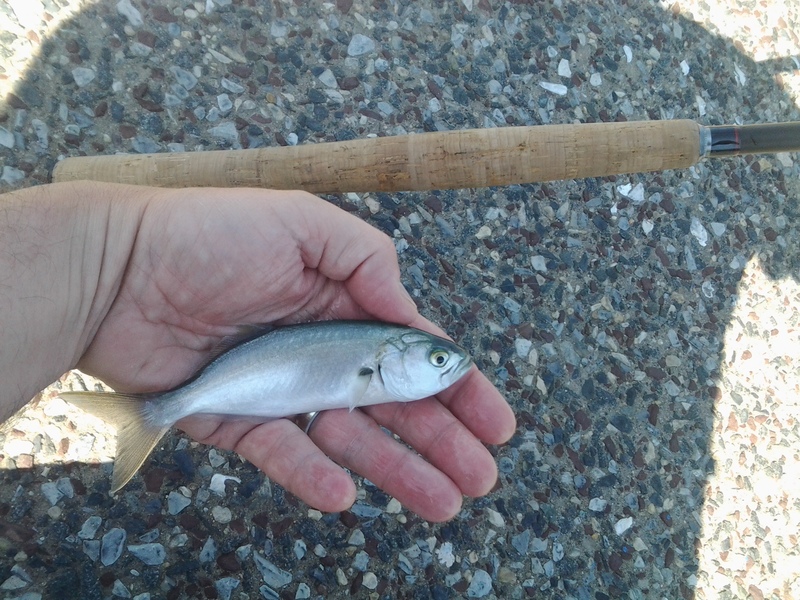 The black sea bass (those I have lost and caught and released) on the tenkara rod have coerced me to believe this is a saltwater sporting equivalent to the green sunfish found in freshwater streams. Previously I extolled on the green sunfish. The black sea bass is just as worthy. The black sea bass is by classification a grouper, a smaller one, hardier to cold temperatures, a member of the family more well-known by its southern relations that range in color, pattern, and in size up to a 70s fly Volkswagen beetle. The black sea bass exhibits broad shoulders, a flank thickness like the green sunfish, dressed in pearled black scales that hold an iridescence that glows bright blue around and along the lateral line. Vermiculation of a similar color resembles that of the green sunfish. The size encountered off my Manhattan dock(s) range from six to twelve inches. Only the very few largest are potentially one in the hermaphroditic phase, an interesting fact of this fish, which sets in at around specimens of ten inches or longer, in weight reaching eight to ten pounds. Fish take a fly firmly and quiver shake in resistance. Bright weighted streamers, a chartreuse variety of Cllouser, can be cast, sunk, twitched on a line twelve feet in length supplemented by a leader of similar length tipped by the fly. Such a pattern on a swing with slow pulses of the wrist will take fish during one or two parts of a tide, often on incoming, but not always. One certainty, speed up the presentation of the fly to be intercepted by another hard hitter. Closer to the surface cruise little toy soldier pods of juvenile bluefish chasing fry and rainbait schools. The schools of bluefish cutting baitfish like class come in and go out on quick waves that rarely last longer than two caught fish. 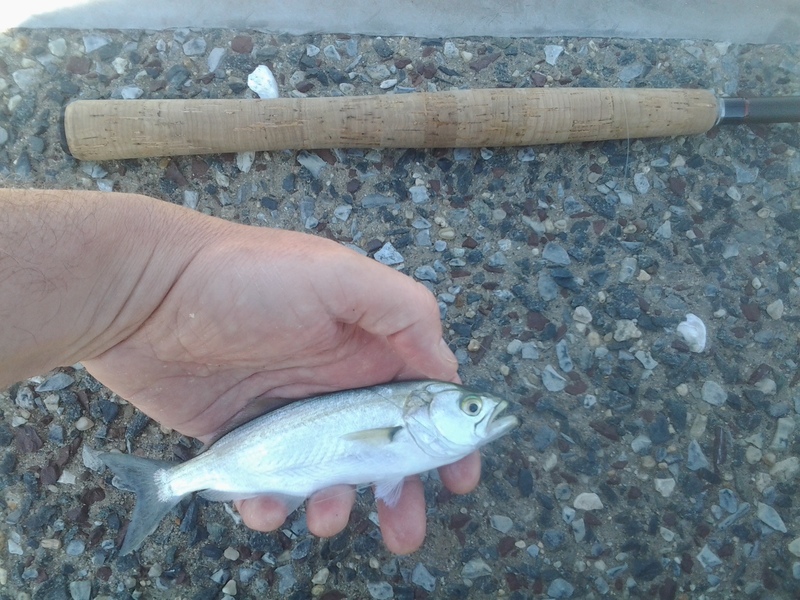 Several hours of fishing will provide one half dozen waves of two minute bites on most occasions. There also are changing skies to contemplate and inquisitive tourists, in between, plus a smorgasbord of aviation and ship sightseeing. Fly patterns remain consistent with those best for the black sea bass. Simple half-and-half Clouser patterns tied for skinny water. Cinderworm patterns are normally ignored, although any dartible streamer of white can do. Sizes 6 through 8 are small enough for the tight-lipped bite of both fishes. Hooks require a line. Level Line, not traditional tapered, is advised to be used. The Salt. I attach twelve feet to a small swivel and add a straight leader of monofilament in 5 or 6 lb. test. I want the leader to be breakable in case I hook into a piling of wood; an admittedly occasional hazard. 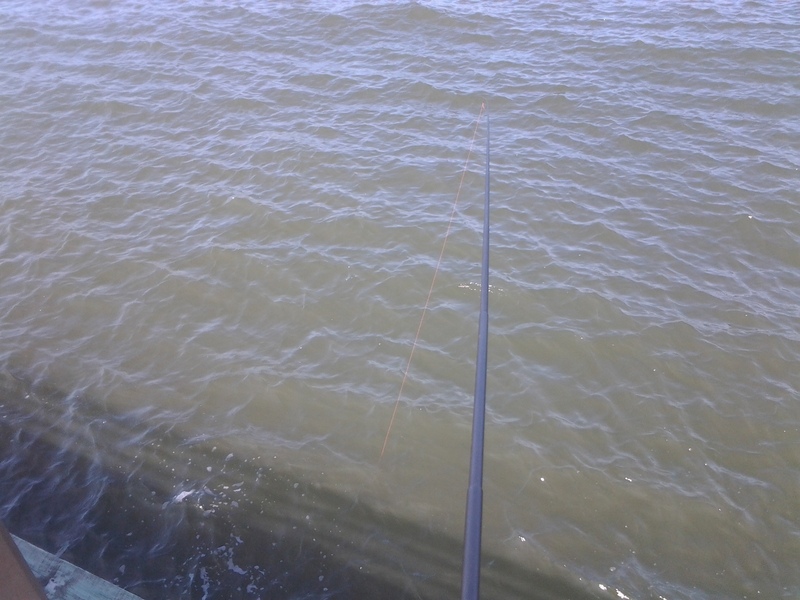 Close fishing to the docks works best when peak tides and solunar tables meet. 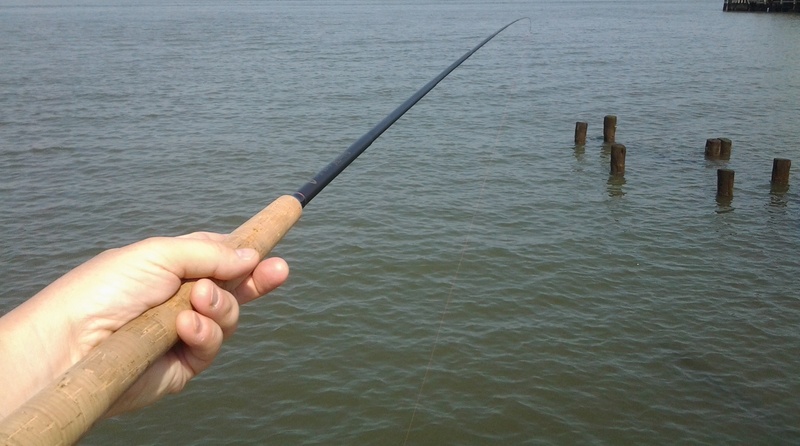 Check predictions on the website Tides4Fishing and study saltwater access nearest you. Tenkara may work on croakers and bergalls and many other fishes of The Salt that can fit into a pan if you force them, by hook.